We’ve all been there. You find that perfect fantasy-looking dish on Pinterest and think, “Hey, I can make that. Easy.” Two hours later, you have a kitchen counter laden with over-priced grocery store fruit or flour – a testament to your hard work gone awry as you realize you may need a bit of culinary guidance. (At least, I’m hoping this has happened to others besides myself…). Luckily for those in southern Vermont, there’s a plethora of resources available to improve how you cook and the quality of what you cook with. Below are our top picks on how to really step up your culinary game, whether you’re a novice in the kitchen or a seasoned chef. 1 Explore new recipes with hands-on, farm-fresh meal workshops at the Marble House Project . Set among one of the breathtakingly scenic countryside of Dorset, Vermont, the Marble House Project hosts a variety of hands-on and demonstration cooking classes. Chef Kelly guides students through the steps of creating dishes which, at first glance, a novice cook would find daunting. Workshops vary from pasta making to garden-fresh (you literally pick veggies from the garden on the farm) side dishes. Marble House Project, Dorset, Vermont. 2. Craft bread from scratch at a Cold Moon Farm Bed & Breakfast cooking class. Whether you’re an aspiring chef, a first time baker or want a closer look at what goes into true farm-to-table meals, Cold Moon Farm is the place to visit. Irene’s personalized instructions on bread making, cheese making and farm-fresh meals will have you leaving the farm feeling like a seasoned kitchen expert. Tour the garden and pick lettuce for your salad, meet the goats that provide the milk to make your cheese and take your homemade dough home to enjoy as pizza or bread the next day. 3.Concoct an epic breakfast with ingredients from the West River Farmer’s Market. Smear sweet cream butter from Jersey Girl’s Dairy on freshly baked cinnamon raisin toast from Earth Sky Time. Indulge with some homemade Jim & Josie’s Maple Syrup on pancakes or enjoy dairy fresh eggs from Livewater Farm. Rest assured you’ll find something mouthwatering at the West River Farmers Market (held every Saturday). 4. Create not your average ice cream sundae with ingredients found at the Manchester Farmer’s Market. Hot fudge and (the most delicious) caramel sauce slow-churned and crafted with local farm butter and cream from the new England Hot Fudge Co. blows any other ice cream sauce out of the water. While you’re at it, grab some Vermont Gelato made with fresh organic fruits and pure Vermont Grass fed milk. You’ll find these items at the Manchester Farmer’s Market, held every Thursday in Manchester Center. 5. Savor Vermont’s finest recipes with the Dishing Up Vermont Cookbook. From Taylor Farm‘s farm-fresh sundried tomato muffins to Grafton Cheese Company’s cheddar ale soup, Dishing Up Vermont will give you an insider’s look at Vermont chefs’ creations. 6. Craft a savory Vermont-inspired dish with the Official Vermont Maple Cookbook. If there’s one thing Vermont is known for, it’s our fresh maple syrup. The Vermont Maple Cookbook offers a variety of maple infused recipes – from dinner entrees to candies and desserts – with simple step-by-step instructions. Wow dinner guests with maple teriyaki salmon or, my personal favorite, maple apple fritters. To explore more of what southern Vermont has to offer, visit here. Cassie Russo | Growing up in central Massachusetts, Cassie ventured to the snowy mountains of Vermont almost every weekend until her late teens to enjoy her passion – snowboarding. 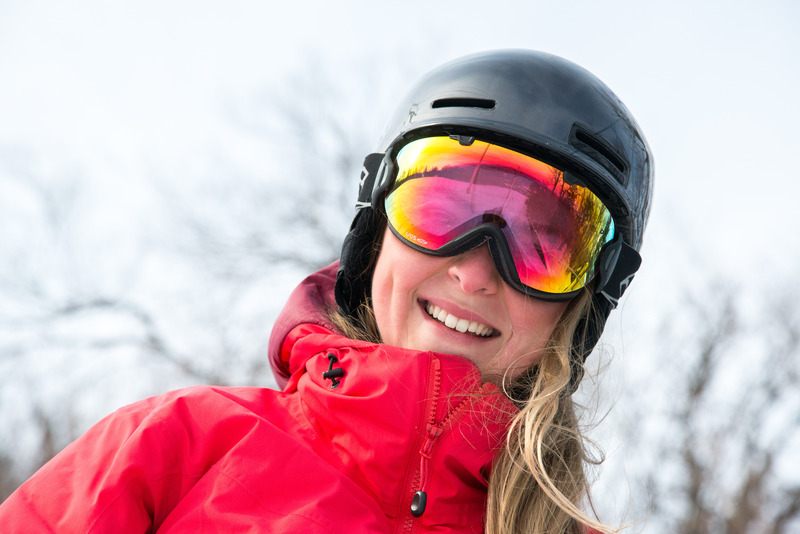 After working at a ski shop while studying for a degree in journalism, Cassie knew Vermont was her next destination. You can now find her living her dream of residing in Vermont, pursuing a writing career and strapping a snowboard to her feet every day. When the snow melts, you can find her on her paddle board, on the tennis courts and searching for the next adventure.